It's not a big secret that Trailforks is expanding to accommodate a wide range of trail activity types outside our primary mountain bike focus. This has long been requested by users from other activities and from trail associations that manage trails for multiple user groups. We have decided to go the path of one app to rule them all, rather than creating separate apps for each separate activity. As many users switch often between activities and there is value from a navigation and mapping perspective in seeing other activities trails. Also the name "Trailforks" is a neutral name, nothing that limits it to just mountain biking. For the foreseeable future mountain biking will still be the main focus and some of the features will only work with mountain biking in mind. 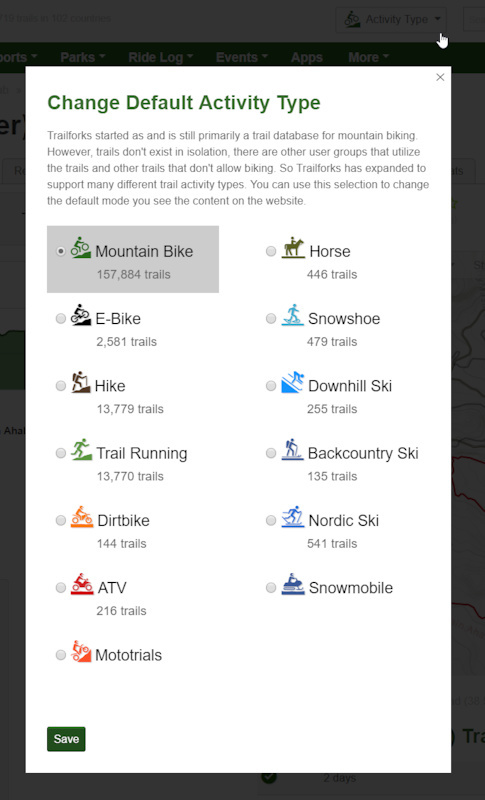 But over this past winter we've tried to change much of our database, codebase and UI to accommodate trails and users from other activity types. Before we announce or release other activity type support we have a big task ahead, mapping the trails! 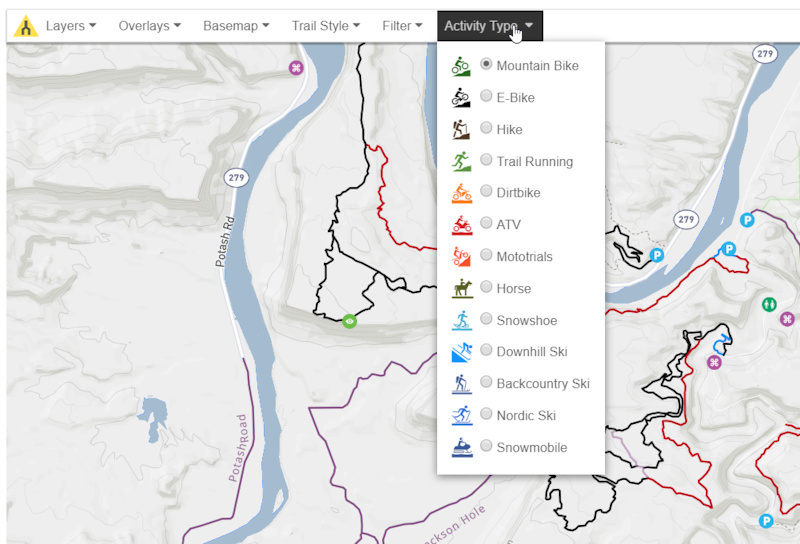 We want to have a decent amount of hiking, moto, and ski trails mapped before we release the new functionality fully to the public. 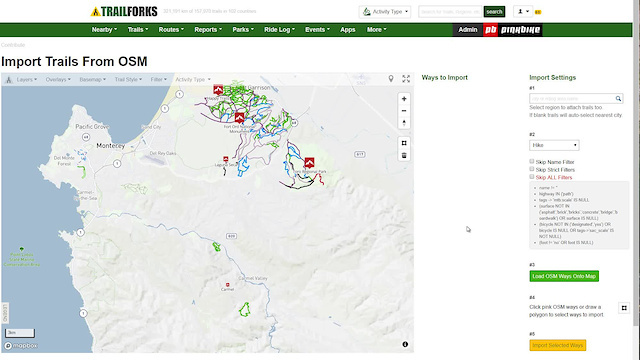 So we need the help of locals and our awesome Trailforks contributors to map their local non-biking trails and to edit the existing trails adding info about what other activities a trail supports. Some of the activity features and data can be found on the website, but much of it is hidden to only beta users. I've recently added all Trailforks region admins to this beta group, so you can start adding and editing the trails, poi, & routes in your areas. 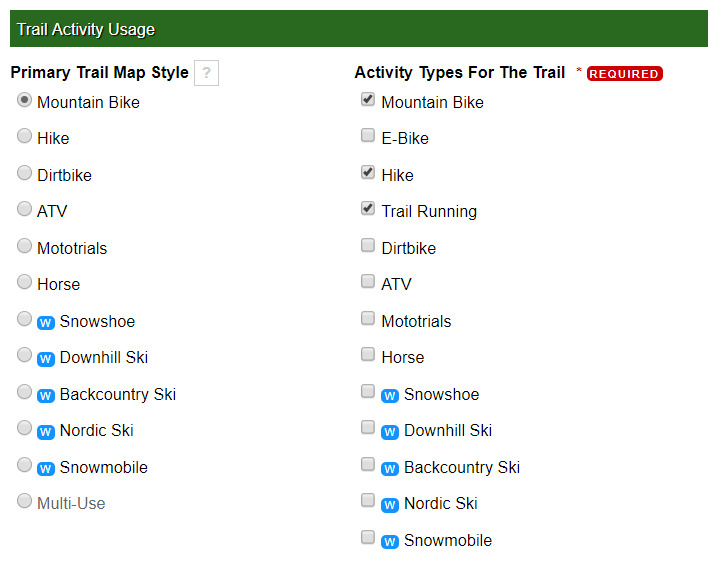 When you add or edit most entities on Trailforks there is now a selection of activity types you can choose to specify what are the supported activities. Some entities like trails have an additional "primary activity" which gives us further info and can help style the trail differently on the map. On most website maps there is now an "Activity Type" drop-down selection, which will change the context you are viewing the map as. This will change the styling of the trails to match your activity. There is also a global site-wide activity type selection on the top of the website, which sets your default activity for the entire site and all the content. If you are a region admin you have access to a tool ("bulk edit trail activity types") to bulk edit trails activity types in your region. This makes it much faster to update the trails in your region. Find a link to this on the admin page for a region. To make adding hiking, horse, moto and ski trails faster we've built a slick tool to import GPS track data from OpenStreetMap. Admins can use this tool to preview the data on OSM based on some filters we setup, then draw a rectangle over an area of the map to import the selected OSM ways to Trailforks. This tool trys to detect duplicates and to merge ways that connect to each other into a single trail. Before importing trails, it's often best to first setup the trail network region and then import to that new region. Unless your importing trails to an existing region or city already in the Trailforks database. If you do not specify a region during import, the trails will automatically associate with the nearest city in the Trailforks database. One thing to note, we don't allow mountain biking trails to be imported using this tool. We want MTB trails to be added the same way they always have. Also any trail added using this tool will be treated slightly different in our database and will always be publicly available for download as per some OSM restrictions. Here is a video tutorial on how to use this power-user tool. The new trails will sync to the app, but will just be faint grey lines for now. We have not created or decided on a UI for switching activity modes in the app yet. We will update the app with this when we are ready to release this new functionality to the public fully.